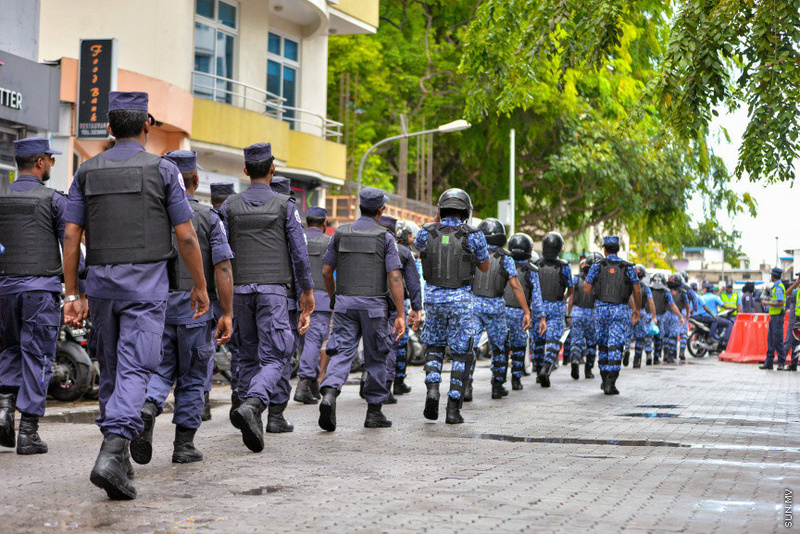 Maldives Police Service has said that they would take against those who take presidential campaigns to police stations across the country. A statement issued by the police tonight said that it has been noted that as part of the campaign for the Presidential Election this September, some campaigns have been targeted for police officers and has gone to police stations to campaign. Police said that such actions are completely unacceptable and called to the political parties to stop such campaigns targeted to police officers. They said that action would be taken against those who continue to do so.